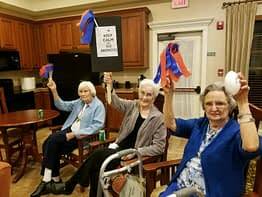 LENOIR CITY, Tenn. — Morning Pointe of Lenoir City was a house divided, as the residents at the assisted living community rooted for their favorite teams to win Super Bowl LII. The seniors enjoyed tailgating treats, waving around their banners as they cheered on the players. Morning Pointe residents look forward to game day activities as part of the life enrichment program. Photo: Morning Pointe of Lenoir City residents Helen James, Barbara Reynolds, and Willie Mae Fair cheered for the Patriots to win Super Bowl LII. 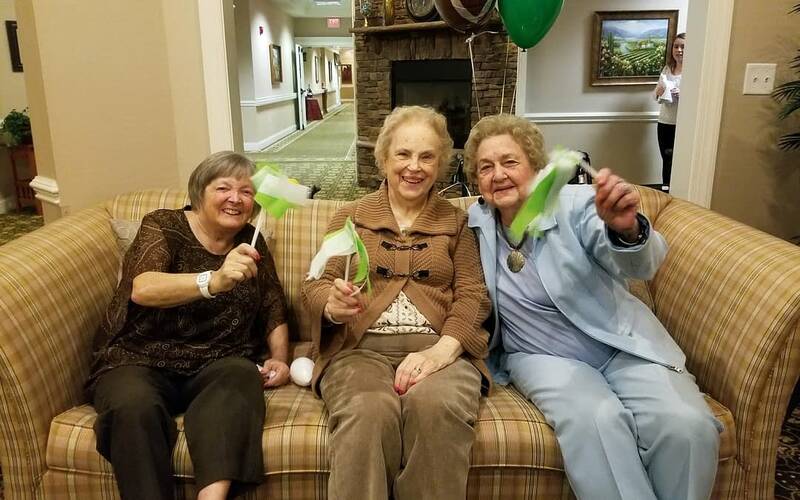 Photo: Morning Pointe of Lenoir City residents Sara Jane Garzolini, Phyllis Detar and Eloise Smith cheered for the Eagles to win Super Bowl LII.